Mr. Bachrach is a true legend in the recruiting industry. 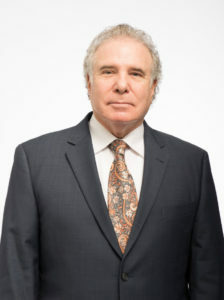 He founded The Bachrach Group in 1974 with a focus on Accounting and Finance. Through many iterations and under Mr. Bachrach’s leadership, TBG has grown into a national presence and the broad-based staffing firm we see today. In addition to TBG, Richard Bachrach’s commitment to excellence led to the creation and advancement of many companies. Through the accomplishments of The Bachrach Group, Netlan Technology Center, Mobile Training & Education and Complete Learning Solutions, Sage, Cloud 9 Exotics, and others, we have contributed to the employment and education needs of numerous national companies. Mr. Bachrach’s vision allows people to get a better education, find better jobs and realize better opportunities for themselves and their families.